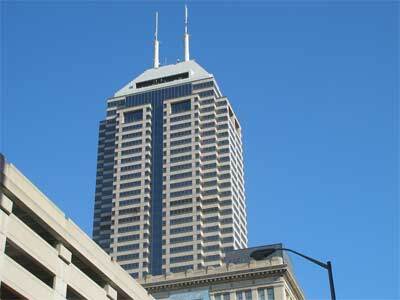 Subcarrier Communications has been selected to provide rooftop management services for the Chase Tower in Indianapolis, Ind., expanding their building rooftop management portfolio. The team leaders for this transaction were Operations Manager Greg Weger, and VP of Engineering Bill Cordell from Subcarrier’s Houston Office. The iconic Monument Circle building opened in 1990. At 830 feet, it’s the 47thth tallest building in the U.S., just below Pittsburg’s U.S. Steel Tower, and the tallest building in Indiana, according to Wikipedia. In recent months Old Bridge, N.J.-based Subcarrier has produced many new client agreements and rooftop management opportunities, confirming the company’s capacity to support numerous high volume projects. Additional information regarding Subcarrier Communications services is available here.